Toxicologist Edward Calabrese of the University of Massachusetts Amherst has dropped cultural bombs on both the U.S. National Academy of Sciences and two scientists who provided crucial information for Atomic Age carcinogen risk assessment. Regarding the linear no threshold (LNT) dose-response approach to ionizing radiation exposure in the 1950s, Calabrese says there was deliberate suppression of evidence to prevent the regulatory panel from considering an alternative, threshold model - the LNT model was later generalized to chemical carcinogen risk ssessment. The first of Calabrese's articles, both in Archives of Toxicology, is a history of the LNT model for ionizing radiation mutation, a concept accepted by radiation geneticists in the 1950s and recommended by national and international advisory committees for risk assessment and human exposure guidelines and later generalized to chemical carcinogens ever since. It is now used by public health and regulatory agencies worldwide. In the second of the two articles, Calabrese repeats his earlier accusations that the distinguished radiation geneticist Hermann Muller, in his acceptance speech for the 1946 Nobel Prize, "made deceptive statements" intended to "promote the acceptance of the linear dose-response model for risk assessment for ionizing radiation" and that Muller's advocacy agenda was "masked" by long-time colleague Curt Stern. Their actions affected "key publications in the mutation literature," enhancing acceptance of the linear dose-response and hiding "Muller's deceptions," Calabrese adds. Calabrese says, "The regulatory research community needs to hear about this. This isn't an academic debate; it's practical, because all of our rules about chemical and low-level radiation are based on unvalidated assumptions and scientific panel decisions made without sound evidence. Now, after all these years, it's very hard when people have been frightened to death of any exposure whatsoever, to persuade them that we don't need to be scared by certain low-dose exposures." His own career-long research on hormesis, which is a non-linear, threshold-based or biphasic approach to dose-response and risk assessment for ionizing radiation and toxic chemicals, provides evidence that low-dose exposure of some chemicals and ionizing radiation are benign or even helpful. In three "substantial validation tests" of the threshold, hormesis and linear no-threshold models, Calabrese and colleagues say, "only the hermetic (biphasic) dose-response made consistently accurate predictions." 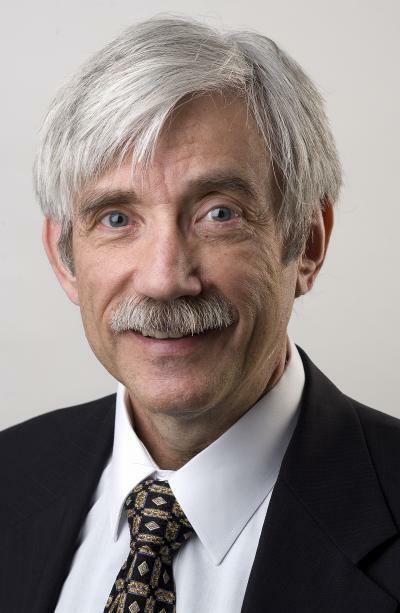 The UMass Amherst toxicologist has argued for many years that a reappraisal of cancer risk assessment methods is urgently needed because the LNT model was incorporated into U.S. regulatory policy based on faulty assumptions and by Muller and Stern's manipulation of the scientific literature. Calabrese's interpretation of this history is supported by letters and other materials he has compiled, many from formerly classified files. Muller and Stern had done many of the key experiments contributing to health risk assessment of ionizing radiation and Muller served on NAS's Biological Effects of Atomic Radiation (BEAR) committee through which the linear dose-response approach to risk assessment became firmly entrenched, Calabrese related. He offers further evidence that the two successfully suppressed evidence from a key experiment with fruit fly sperm that challenged their views on dose-response.